Right off the I-95 Corridor, Woodbridge, VA is home to a population of roughly 55,000 people. Many Woodbridge residents work in Washington, DC – just 20 miles north – but prefer the quaint, suburban homes of Woodbridge. With a strong public school system, professional sports teams, and abundant outdoor recreation options, Woodbridge provides its residents with a fun and growing community. Thompson Creek Window Company® has 38 years of experience in Northern Virginia, so we’re well acquainted with Woodbridge’s unique homes and buildings. Woodbridge homeowners turn to us for replacement windows and doors that improve the beauty, comfort, and value of your home. The DMV region experiences four distinct seasons each year, and that’s how we like it. However, when bitter, frosty winds, or hot, humid spells are upon us, we want to remain comfortable. Thompson Creek® windows are expertly designed to keep your Woodbridge home comfortable. In fact, our windows exceed 2018’s ENERGY STAR® standards and can withstand wind gusts of up to 146 miles per hour, cutting down your utility bills and keeping you comfortable. All Thompson Creek® windows are custom designed and built in our Maryland facory to fit your home’s exact specifications. The result: your installation is hassle-free and doesn’t disrupt your Woodbridge home’s exterior. Choose from our vast selection of window styles and options to accommodate your aesthetic preferences. Like our windows, Thompson Creek® doors are custom designed for your Woodbridge home, and exceed 2018’s ENERGY STAR® standards. By insulating against chilly winter air and steamy summer heat, you can lower your utility bills year round. 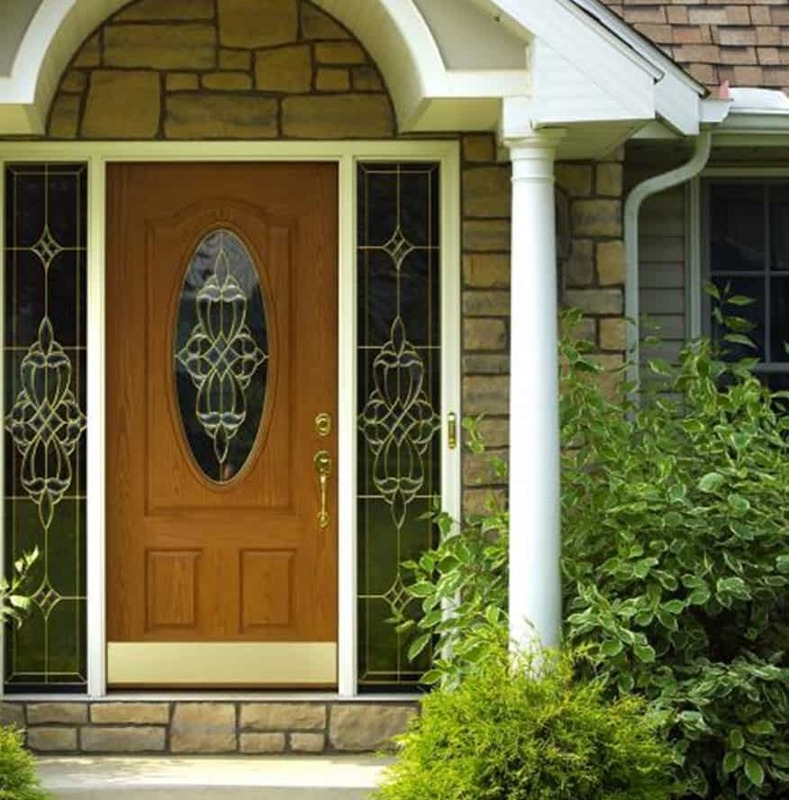 Choose from a variety of door colors, patterns, and grids to fit your Woodbridge home’s style. Your door will remain secure because Thompson Creek® uses only the best high-grade steel available on the market for frames and deadbolts. What’s more, if you’re thinking about selling your home in the future, our replacement doors offer a 101.3% return on investment. The installation experts at Thompson Creek will install a roofing system tailored to your Woodbridge home’s specific needs. Our expert crews handle everything from pre-construction inspection to installation and service with a keen eye for detail, so you know the job will be done right, and you know who’ll be accountable to you for service. That’s why 97% of our roofing customers would happily recommend our roofing services. Contact us today for a free quote on your Woodbridge roofing project. Start your next home improvement with Thompson Creek® today. Call to get a free, no-obligation quote and learn more about how replacement windows and doors can improve your home’s comfort level, beauty, and value.